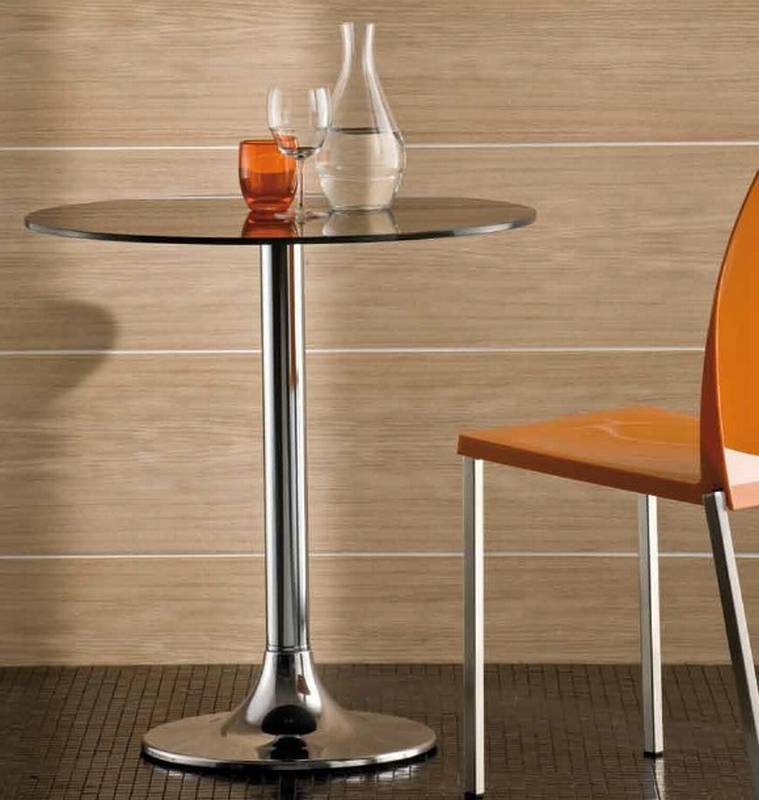 Description A simple modern dining table/bar table with numerous different size and finish combinations. We have listed a sample of those available as a guide, for more details please call or email us for a specific quote. The base and column are made from steel and the top is solid laminate.